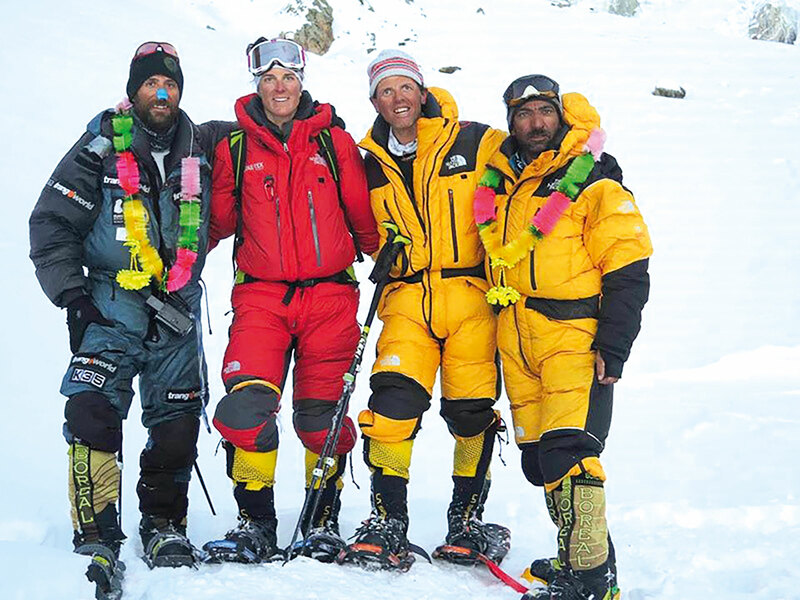 On 26 February 2016, Tamara Lunger and Simone Moro stand a few hundred metres from the top of Nanga Parbat and its first, historic winter ascent, which has been attempted at least twenty-five times in the last thirty years. Together with them are the Spanish Alex Txikon and the Pakistani Alì Sadpara. They all climb up unroped. Less than a hundred metres from the top, Tamara feels that, were she to reach the summit, she would not be able to go down on her own and would need to ask for help, even if she is really close to it. She tells Simone about this. The night before, the four mountaineers crammed up in a three-person tent at 7,100 m (23,300 feet) to bivy. Considering the nature of the ascent and the tough winter conditions, none of them feels fully acclimatised to really go for it; what’s more, they have been at the Nanga base camp for a good eighty days and they have only one realistic chance to reach the summit. They are at the end of their tether, but the zenith and their success is right there, within reach. Tamara woke up feeling empty and has walked closely following Simone’s footsteps. 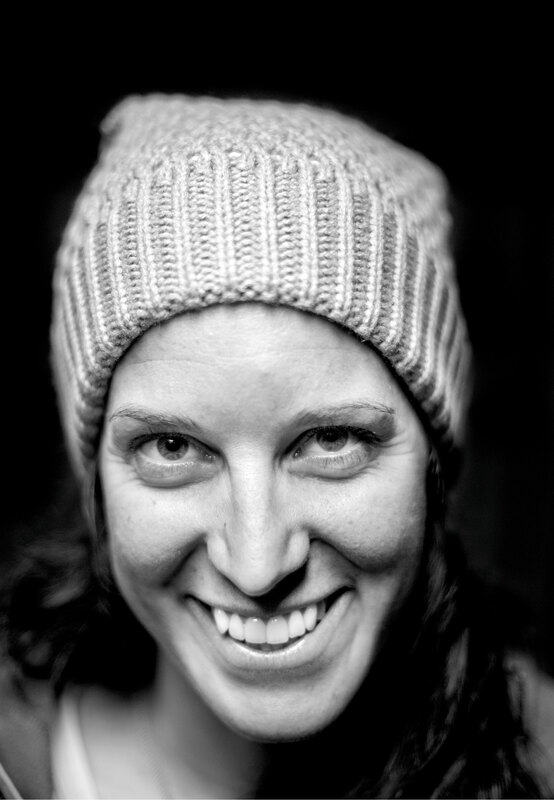 Were she to reach the top, she would be the first woman to accomplish a winter ascent of an 8,000-metre peak. She is not well, she vomited her breakfast and her stomach cannot keep anything, not even water, nor hot tea from a flask. They left at six am, the temperature is at least minus 40 ºC and it’s windy. It’s afternoon. Simone, Alex and Alì reach the top of Nanga Parbat at 3.37 pm: it’s the first winter ascent of this mountain. «We could see her, just below us - tells Simone. She was about twenty minutes from the top, but was completely blank and dehydrated. She knew that going up at all costs would have meant reaching the top, but also asking for help for the descent. We were completely exhausted, too. She turned and started to go down. In my entire alpine career, I have never seen such an act of generosity and intelligence. Tamara had thought about us. About us all». «I look up and see Alì, he’s waiving at me from the top. He’s up there, he has reached the top, he made it. He got there, but I did not. I could have heard his words, had the gusts of wind not been so strong. I look up and all I see is a happy man who, I believe, simply invites me to reach him. I wish I were up there with Alì. How can I do that? Down here, where I am, about seventy metres from the top, you’ll only find myself and a few, pounding words: If you go up there, you’ll never go back home. It’s a precise, piercing message; no need to dwell upon it as it’s crystal clear: I look up once more and then I turn my back to the summit. I start going down. I think about them, they did make it and I hope they understood I won’t go any higher, so they should not wait for me as I’ll never be up there. Nanga Parbat taught me that honesty and fairness lay at the base of any relationship. Without them, you won’t find any trust, you won’t feel safe and you do somehow lose the meaning of life: try and become love, represent something positive for the world. Love that aims at giving us happiness and, if we are strong, offer it to the others, as well».